Another placepot divvy from the A's yesterday, though nothing especially exciting in terms of profit (£21.96 for a £5.40 stake). We'll try to make it three in a row on the hardest of the trio of days, a day featuring the July Cup and the Bunbury Cup. A three-year-old mile handicap. There's one in here at a huge price - bidding to bounce back, granted - that is very interesting. Law Enforcement carries top weight, but so he should having won a Group 1 last year! This season he's run three races in three different countries: he was fifth in a Group 2 in Meydan; then ran down the field on unsuitably soft ground at Coloogne; and finally, he ran mid-division in the Britannia Stakes at Royal Ascot. It's not too hard to make excuses for any of those runs, and he might be worth taking a chance with. I've had a little nibble at 28/1 with BetVictor. Of those in better recent form, Stepping Ahead seemed not to stay last time, and had previously won twice by seven lengths apiece over a mile, albeit in lower class contests. If it was stamina rather than class which gave out at York, he could bounce back here, perhaps trying to lead all the way. Aussie Reigns brings a proven level of mile form here, and will like the ground too. He's more exposed than some of these, but is also more likely to run his race. Another with track form is Prince's Trust, who made all in a Class 5 maiden over a mile here. It's hard to assimilate that form especially, though the second has won since. Sir Michael Stoute's Defendant is not obviously screaming for a step up in trip, though he is bred for it. He looks fairly exposed as well against some of these, and I think he's really short based on what he's done. He could improve, I suppose, but he's far from an obvious favourite to me. Makafeh probably wants a bit further than this, and Muharrib probably wants a bit shorter. Jammy Guest, third in a Listed race before being outclassed and outpaced in the Jersey Stakes last time, could bounce back here. In summary, it's a toughie. Historically, plenty of decent-priced horses have won this, and I'm hoping that happens again. I'm siding largely against the top of the market in the placepot too, which definitely offers scope for a very early bath. A nice Group 2 with some decent past winners, including epic stallion Dubawi. The name of the game in a number of cases here is projecting who will improve for the longer trip. The trio with no such worries are Noble Metal, Washaar, and Somewhat, all already seven furlong winners. Washaar is definitely interesting, having run away with his maiden on debut, and the second and fourth have already won since. Natural progression from first to second start would see him go close. Somewhat was beaten eight lengths in the Listed Chesham Stakes and, while on the one hand he's probably got the best level of demonstrated form, on the other it would be disappointing if nothing managed to progress beyond that. Of course, after just two starts, he himself is not immune to improvement, particularly as he might get loose off the front. There are others which can get competitive here too, notably Good Old Boy Lukey and Recanted, but it was very hard not to be impressed by that Washaar run, and I might even be tempted into a small bet. Next up, the twenty runner Bunbury Cup over seven furlongs. This big field seven furlong handicaps are best left to the big field seven furlong handicap specialists. In this case, that means I'm focusing on Highland Colori, Field Of Dream, Excellent Guest, Bertiewhittle, Redvers, and Brae Hill, in a race where it's 10/1 the field! I'm a big Bertiewhittle fan and I think he'll again go close here, with Richard Hughes back on for the first time since finishing second in the 26 runner Victoria Cup at Ascot. As a hold up merchant, though, he will need the gaps to appear when he wants them, and that might not be an ideal set up despite his proven form in similar conditions. Basically, he's one of those unlucky horses that punters shouldn't get involved with. But I love him! Highland Colori is becoming a track specialist: he's three from three at Newmarket, and two from two on the July course. All three wins here have been over seven furlongs, and all in double figure fields. He is seven pounds higher than his last win here, two starts back, but could bounce back with a pace-pressing ride. Field Of Dream has slipped back to a tempting mark of 98, having won the International Handicap in a big field over this trip last year off a pound higher. I just wonder whether he'd want the ground this fast though (just two places from nine runs on good to firm). Excellent Guest always seems to run his race, and he won the Victoria Cup - beating Bertiewhittle - before running well in the Royal Hunt Cup, just three and a bit lengths behind Belgian Bill (who is better at a mile most likely). He's not fantastically well handicapped but he is consistent and has conditions on his side again today. 20/1 seems too big. Redvers just loves big field seven furlong handicaps, and he's such a kind ride that he's won a ladies race with 24 runners, and been a close up fifth of 26 in an apprentice race. He's also been seventh in the Buckingham Palace Stakes (second on his side), and fourth in the Victoria Cup either side of winning at Haydock. Thereabouts. Brae Hill won this two years ago and is back down to that winning mark again - actually, a pound lower. His last win was March 2012 - albeit in the Lincoln - and I just wonder if he has another big day in him. If he does, it could very well be today, as he has a perfect setup. The step back down in trip from nine furlongs and a mile is interesting, and implies he might have a bit less pace than he did. I respect him, but won't be backing him today. Obviously it's wide open, and my three against the field are Highand Colori, Excellent Guest and Redvers, with marginal preference for Highland Colori. And so to the feature race of the meeting, the July Cup over six furlongs. Despite a real international presence, Society Rock looks absolutely bombproof for the frame. He's a dual Group 1 winner over six furlongs; loves fast ground; and is in terrific form. He seems to be over his propensity to fluff his lines at the gate and I'd expect him to be bang there today under a Fallon strong arm drive. Lethal Force was his vanquisher the last day, reversing form in the Diamond Jubilee Stakes from the Duke Of York Stakes. He got first run there, and there's every likelihood of that happening again here. Although Lethal Force is clearly progressive and an exciting colt, I'm not certain he'll reproduce that huge run from the last day, something he'd need to do to double up here. Shea Shea is not nailed on to appreciate this return to six. He's a Group 1 winner over it in South Africa, but this will be a lot tougher. Not this time, not for me. The pick of raiders might be Krypton Factor, an out and out six furlong horse, who finished third behind Soc Rock and the Lethal Force in that Royal Ascot big pot. He's super consistent - twelve 1-2-3 finishes in sixteen career starts - and he is a very big price at 18/1. He's far and away the each way value for me. Sole Power is a lot less effective at six than five and is easily overlooked, while stable mate Slade Power could be ready to announce himself on the big sprinter's stage. 12/1 is fair enough, but he doesn't have the level of form of Krypton Factor. Gale Force Ten has plenty of speed for this drop back to six furlongs, but he'll find these guys much tougher than the Group 3 mob he duffed up last time in the Jersey. Three runners, and they'll all go in the placepot. I very much hope Olly Stevens' Green Door wins, and I think he can. He's a smart colt, and better than seventh was expected in the Norfolk the last day, which is a mark of how highly rated he is. Johnny Murtagh has no tactical peers and may bid to make all. He does have four lengths to find on Emirates Flyer, but he was eased when his chance was gone that day. Meanwhile, Sacha Park was beaten over two lengths by Green Door's stablemate, Extortionist, in the Windsor Castle Stakes, so they at least have a line on that one too. And we close a very tough day with a five runner nursery handicap! One non-runner would make this win only too, which is a scary old thought. Al Baz was impressive last time, albeit in a weak enough race, and this trip looks good for him. It's just possible that the handicapper has underestimated that form and, if he has, he'll obviously be well-treated here. Dutch Courage is the jolly though I wouldn't be certain why after winning a moderate looking Class 5 maiden at Ponty. None of the horses from her prior start have won, from ten to try; and she looks beatable. Malachim Mist is more reliable, having run very well in this grade two starts back before winning over seven furlongs last time. He's the other placepot horse. So that's who I fancy? What about you? What's your best bet for Newmarket today? Or anywhere else? Leave a comment, and let us all know. And why not tip it in the tipping league (177 entries in the July competition and counting)? 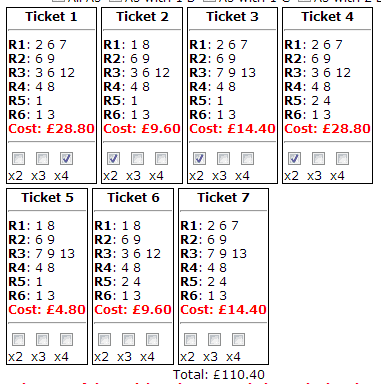 Oh, and of course, we've a full race cards and results service here on jolly old geegeez now! And results will appear here this afternoon when the racing's started. Brilliant summarising on law enforcement matt followed you on well done!! Law Enforcement – cracking tip. yep well done on Law Enforcement – on at 28’s…. nice! Good stuff chaps – glad I wasn’t the only one. I presume we’re at least part of the reason he went off at 9/1! I couldn’t believe it when I saw the starting price. Great tip for Law Enforcement, Matt. 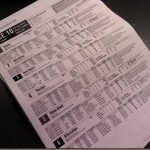 I stuck it in a 5 horse 10p each way accumulator which resulted in two other winners and paid £163.23.